This is a technique perfect for those who love the pure taste of fish. 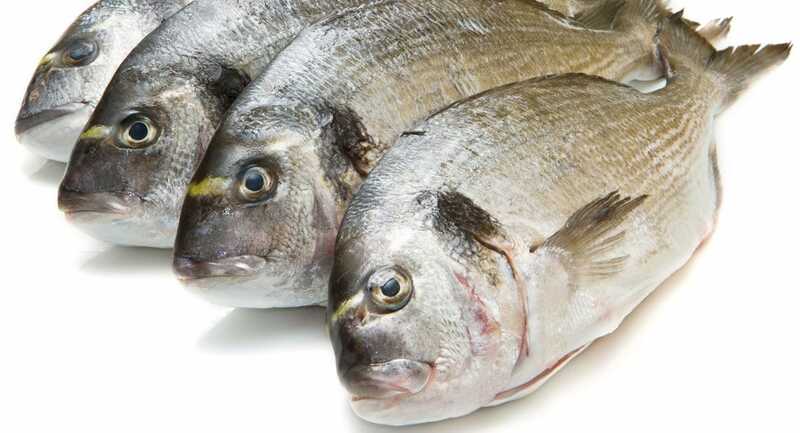 Roasting in a salt crust heightens sea bream’s character, intensifying it. 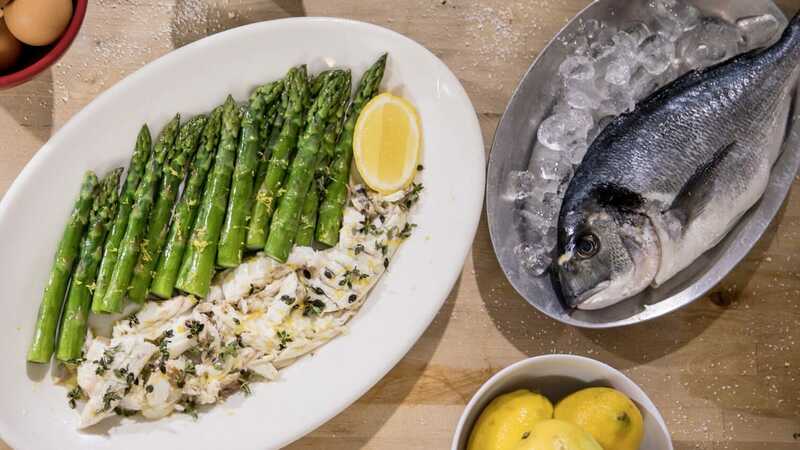 The combination of cooking the sea bream in its own juices and steaming it in a salt crust captures all the natural flavor and texture of your favorite fish. Don’t worry about scaling your fish—the scales help protect the fish and will pull off when you remove the salt. Preheat oven to 400°. Line a baking sheet with parchment or aluminum foil for easy cleanup. Whisk egg whites and water in a large bowl until it has doubled in volume. Pour in the salt and mix well with your hands. The mixture should have the consistency of wet sand. If your crust seems dry, add a few tbsp of water. Pat out 1 cup of the crust mix onto a baking sheet and into the size and shape of your fish. Set fish on top and cover with remaining crust mix. Wet your hands and pat the crust all over, smoothing it out until the fish is completely sealed. Roast for 30 min. Remove fish from the oven and crack the crust along the sides with the back of a big spoon. Carefully lift the crust off the fish—it will be very hot. Let the fish cool a few minutes, then peel off the skin. Slide the top fillets off the bones and divide between two plates. Grab the tail and lift up the bones. Brush the crust away from the sides of the remaining fillets, then lift from the bottom crust and invert onto a cutting board. Peel skin off and divide between your two plates. Sprinkle with oil and chopped herbs. Serve with lemon wedges or butter sauce.